Hey hey my fellow makers! 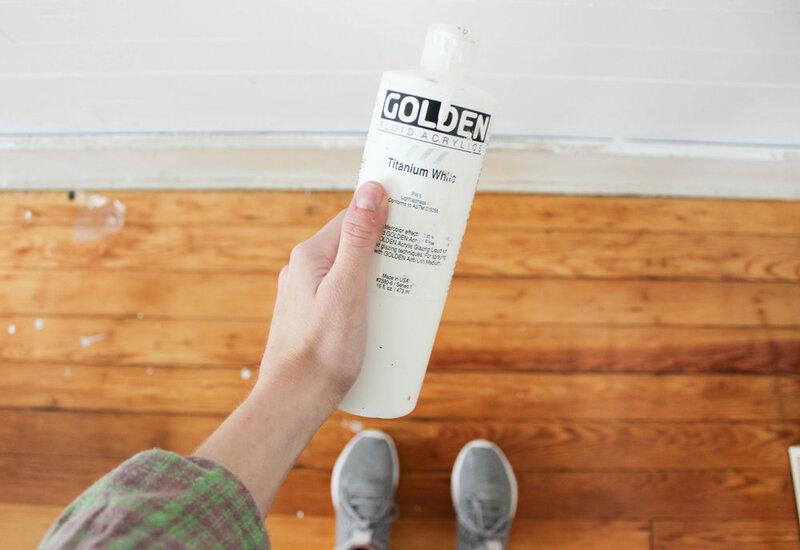 I have gotten a few questions regarding the types of paints, brushes, etc that I use recently, so I thought I'd make a short blog post to help my fellow artists out there who like to use new materials. For starters- the "medium" an artist uses is the actual material in their hands (i.e. paint, charcoal, watercolor etc) and the "substrate" is the material an artist works on (i.e. canvas, paper, wooden panel etc). I paint with acrylic paints on canvas, which are water soluble paints made with pigment suspended in acrylic polymer emulsion. I was trained in oils, but I struggle with chronic migraines and the different paint thinners and solvents used with oil paints really aggravate my migraines! For now, acrylic paint gets the job done and I am enjoying mastering it. 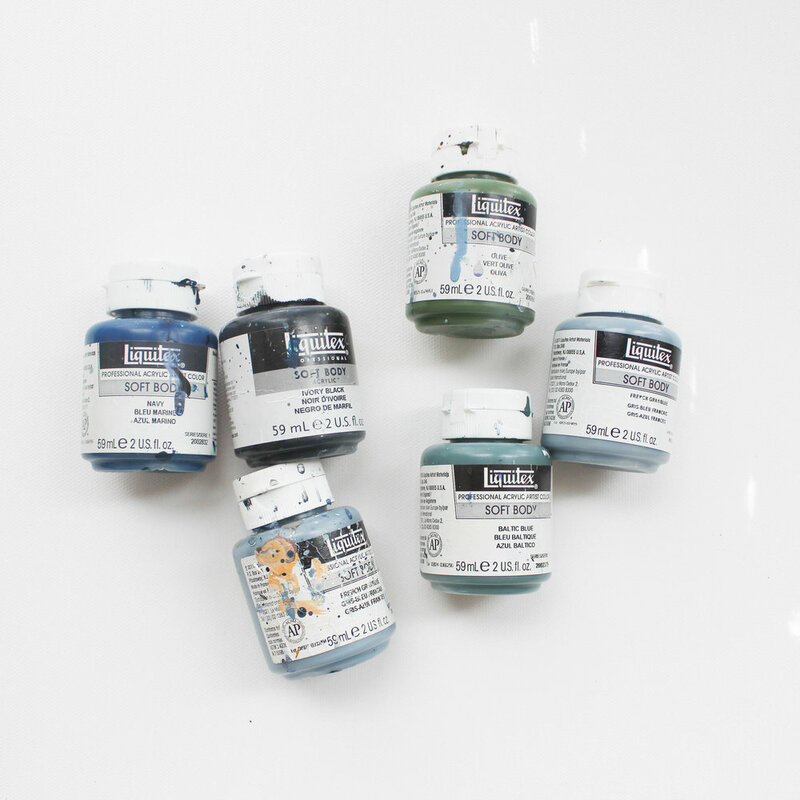 I will use this post to talk about the different types of paint that I use, and maybe later on I will do one regarding the drawing materials I use as well. 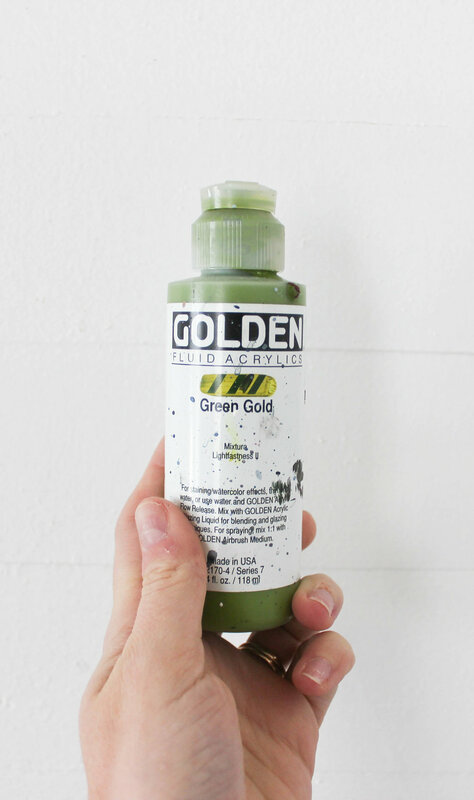 As far as paints go, I am obsessed with Golden fluid acrylics. I have pictured two bottles of them here (left photo and third photo). They have the same pigment levels as the heavy body acrylics, but have a viscosity of heavy cream. I linked them here. (bonus- my favorite color besides the titanium white is paynes grey). My favorite white to use is the Winsor and Newton galleria acrylic (right photo). A friend of mine recommended it to me and I love using this paint as a heavier alternative to my fluid acrylics. I use this white to make my chunky wave textures and to mix with other colors to make thick tints. Lastly, I have really enjoyed playing with the Liquitex soft body acrylic paints. Although they've discontinued ALL my favorite colors (I'm a little bitter about it...but its okay! I'm on the hunt for more fun colors!) 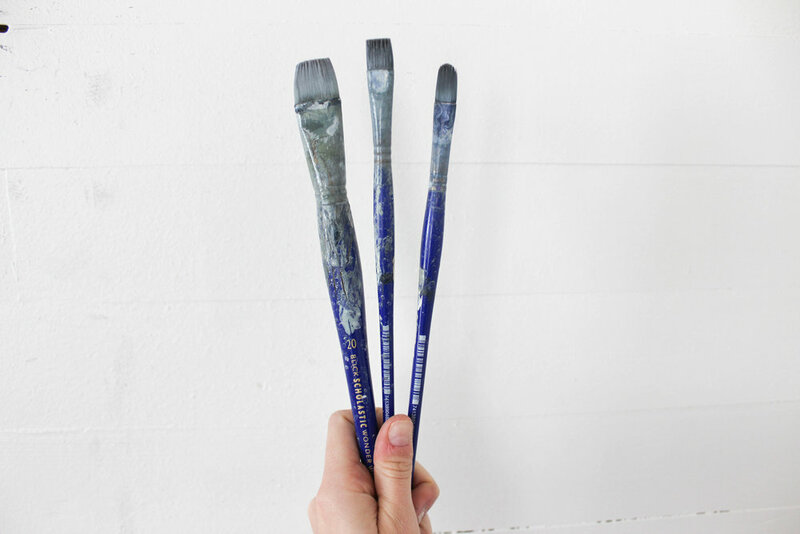 With a satin finish, these HIGHLY pigmented paints go a LONG way. I take a penny sized amount and use that for an entire days worth of painting! It is fun to add different mediums to it and spread the pigment out. I love a good paint brush. I really do. But I honestly have found anything I like more than the classic synthetic Blick scholastic wonder brushes photographed here on the two left pictures. I like them because they're good enough quality that they last me months with me using and abusing them daily, and they maintain their shape really nicely. I wash my brushes with paint brush moisturizing soap about once a week to keep them in relatively good shape. I also really love the Blick mega brushes for the same reason. I own 3 biggies and have never needed to buy a replacement. They're wonderful for BIG bold statement marks. I use a plastic utility bucket to store my paints in their "paint water" and a plastic muffin pan looking palette to mix different washes, and colors in. You guys! I will forever recommend getting a cart to roll around the studio with you when you are painting. I have this one from Ikea that is plenty big enough for me and even has shelves underneath it for paint storage. The wheels are also really good quality (that matters to me. I roll this thing around a lot). Ha!